After clearing some areas and moving things around, we have got some clear ‘flat land’ on the Tank level. And it is time to put it to use. The new bed was specifically made for plants that produce the elements of the main curries we make. So this one was called the Curry Bed. Once complete, and filled, it will be planted with Galangal, Ginger, Lemongrass and Garlic. 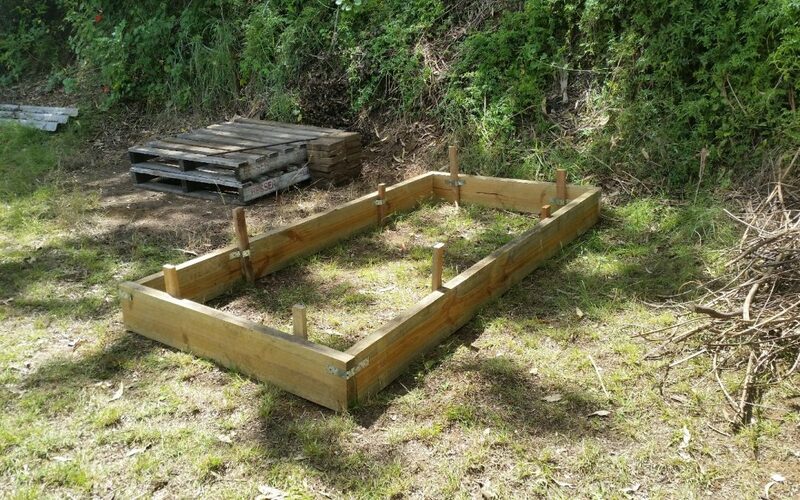 This bed was fairly simple to construct as it was on a flat bit of ground and was a semi-permanent addition. 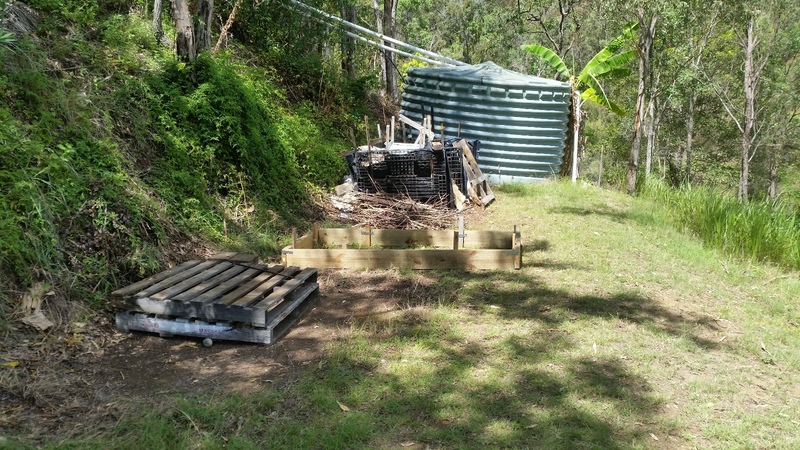 The bed will be filled with mountain soil, mushroom compost, horse manure and lucerne mulch. It will be then covered with Sugar Cane mulch and left to ‘cook’ for a few weeks. When cooked, it will be turned over and re-mulched prior to planting. 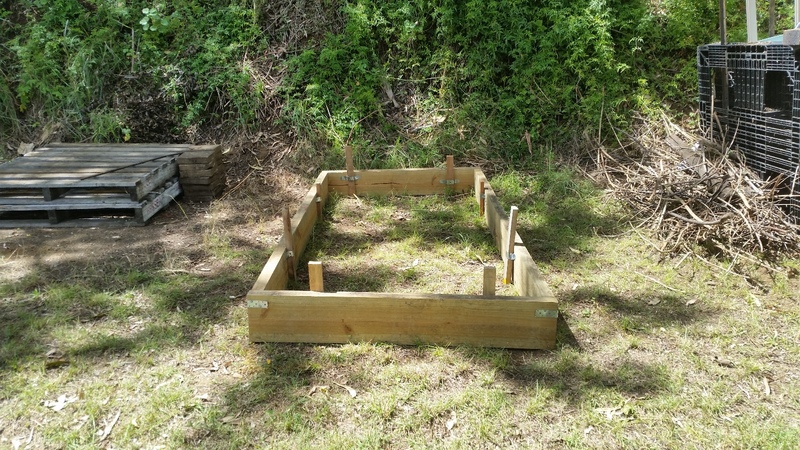 This is the first bed on the Tank Level, and the second garden bed we have created here. We are really looking forward to doing more once we have some of the ground works completed.